If you're a community group in financial trouble, you have to make a choice about publicity. Do you advertise that you're crying out for a lifeline, or do you go for the stiff upper lip? Most choose the latter route, for good reason. The cry of "fire!" can bring the fire brigade, but it can also spark a frenzied rush for the exits. If the public thinks you're going down in flames, they're not likely to ask you to hold their wallet while you're doing it. Donation rates are the NFP equivalent of share prices, and they respond to the same fears. As a result, unsustainable charities generally die silently, unreported. It's only when there's a fuss that we notice it happening and can learn from the experience. Yet even when there's a storm of recrimination, the media tend to report only the pieces of the picture that involve allocating blame. They don't call in the financial analysts in the way they would if a commercial company had gone under. That leaves us with few case studies. The collapse this year of the South Australian RSL represents an exception to this rule. A detailed report from the administrators on everything it did wrong is available here. As an organisation the RSL has, through no fault of its own, one of those basic design flaws: it can't maintain its membership unless Australia fights enormous wars once every couple of decades. Its numbers are dropping, South Australia doesn't have the RSL club beer barns that NSW has (and even there the clubs don't kick back anything much to their namesake), and it's something of a struggle to keep going and to keep its 134 sub- branches operating. ... had embarked on an "ambitious" modernisation program five years ago to ensure it remained relevant and had done "many things" that had worked "extraordinarily well". But he recognised that ... any business has to adjust to its circumstances and that perhaps the RSL did not do that quickly enough. "That would've required the sale of assets and a reduction in staff numbers ... each business has to be sustainable and perhaps we didn't do some things as quickly as we should have, which perhaps would have staved off administration," he said. This is perhaps looking rather too much on the sunny side. In an attempt to diversify, the RSL had borrowed money to buy a hotel that, alas, ran at a loss. The RSL had also attempted to take over war veterans' housing charity RSL Care SA - possibly a good idea if it had come off, but the attempt failed at a cost of $132,000 in legal fees. Concerns about potential conflicts of interest, misuse of grants, and improper record- keeping aside, year-to-year donations income was dropping sharply. An employee embezzled $600,000. RSL SA went into voluntary administration (after a brush with the dreaded trading-while-insolvent). At that point, real management started kicking in, and the RSL cut down its footstep to fit its membership. There was a large property selloff. "The RSL learned in March that James Day, an English immigrant who came to Australia aboard the Caroline in 1849 aged 15 and died in September 29, 1923, had bequeathed a half share in a 64ha vacant property in the Top End. The property is being sold through the Public Trustee - which took management of Mr Day's estate in 2015 - and is expected to reap $600,000, of which $225,000 after costs will go to the RSL to help pay creditors." That's wonderful, but not all Australian not-for- profits are under the personal protection of the Deity, and it's not really a fundraising method we can recommend. had management control issues caused by changes to key personnel and service providers." There is a reason why the seven pillars don't include "Going into unrelated businesses in the hope that you'll be more successful at running a hotel than you have been at your own core business"
Financial crises generally have their roots in governance problems. The RSL's basic problems remain. Like Australian mainstream churches, its current membership finds it difficult to maintain an infrastructure built for a vastly larger number now largely departed. The really hard decisions are still to come. Meanwhile, insolvency firm Rodgers Reidy says, "Bronson Horan, the new president of the RSL board, has issued a statement outlining the RSL's new direction and intention to avoid repeating the style of governance that led to the appointment of Administrators." RSL SA is one of the few organisations to have attracted the close attention of the ACNC. Unfortunately, the ACNC can't share most of the information it's collected, for privacy reasons. All we really know is that after an investigation the ACNC declared its intention to revoke RSL SA's charitable status, but it has since softened its wrath enough to enter into a Compliance Agreement (144MB PDF) with the charity. managed the charity's financial affairs responsibly. 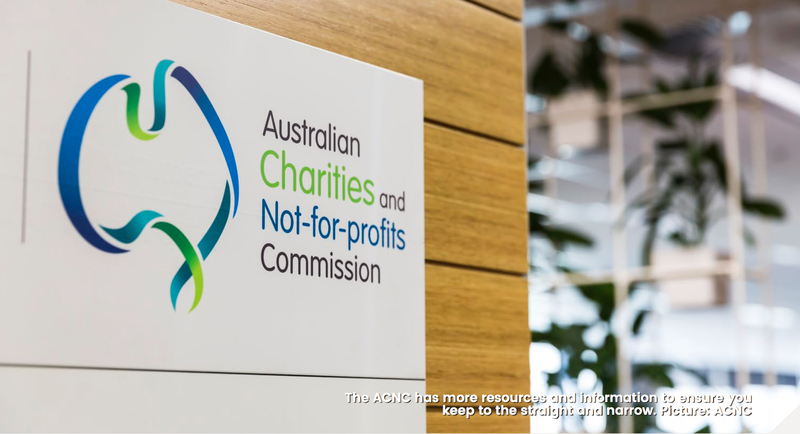 The commission doesn't have figures on the charities shut down for financial problems amid the 19,000 removed from its charity register in the past five years, but confirmed 48 had their status revoked. Among a charity's obligations - which of course are similar to the obligations of all NFP organisations - are to keep financial records that "correctly record and explain their transactions and financial position (net wealth) and performance and enable true and fair financial statements to be prepared and to be audited, if required." Board members should also meet governance standards that ensure the financial affairs of the charity are managed responsibly, and their organisation does not operate while insolvent. RSL SA has 12 months from the date of the agreement to bring itself into line. If it re- emerges from administration, it will be a leaner and a wiser organisation.